Greetings and Welcome to First Nations Broadcasting providing a Native Voice to the Great White North. We have recently gone thru a transition period but we are back and happy to be so. First Nations Broadcasting Broadcasts Native American Music and News from our studios here in Uganik Alaska, Inuvik NWT Canada & Ventura, California USA. First Nations Broadcasting provides Native Alaskan and Inuit Populations from Radio Stations in Uganik Alaska and Inuvik North West Territory Canada. And other great spots of the Great White North! Tune into AIROS- American Indian Radio on Satellite. The Native American Telecommunications Organization - Great List of Online Native Sites. Tuning into other parts of the Great White North!!! NEW! CBC North TV Online. NNN -- National Native News. Iditarod Coverage and other Dog sledding Links If you are familiar with First Nations Broadcasting you should know Debbie Snowdove will once again be covering the Iditarod as she has for the past 9 years on First Nations broadcasting. Also, here are some links to help you understand and follow the Great sport of dogsledding... there is not another sport like it in the world -- where man and dog compete against the harshest terrains known to mankind! And boy for 2009 it is really a different race due to the poor conditions of the trails!!! Check it all out below. 80+ Mushers this year! Official Iditarod Website for 2009! Get Ready for the Iditarod by clicking here for the latest Iditarod newsletter. ----> Radio Iditarod daily updates via the Alaska Public Radio network Online. Dogsled.com - Excellent source of all things concerning the sport. SPECIAL WEBCASTS OF THE IDITAROD RACE START AND DAILY ONLINE VIDEOS UPDATE. 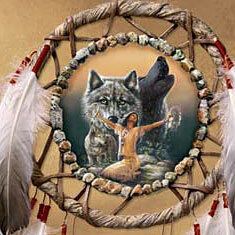 Native Tech -- Native American Technology and Arts site. Help support First Nations Broadcasting by whenever you think of buying music, videos, toys or electronics or books shop here at First Nations Broadcasting. And help support the Native American Broadcasting that we broadcast. Catch Debbie Snowdove on AIROS and broadcasting Native Alaskan Music every Thursday night here at First Nations Broadcasting. And she will also be covering Iditarod 2008 again this year as well. Click here to Check out Debbie's Myspace site. Special thanks to our sister station Rock-it Radio and Bennie Dingo for without him and his hard work in radio this site would not be possible. click here to check out Rock-it Radio - Oldies Station. Click above for 1950's and 1960's Rock and Roll Radio Shows for sale at The Rock-it Store. Rock-it Radio vintage radio broadcasts for sale! Great Rock-it Radio shows of the past currently for sale. Unedited just like you heard them here! Actual unedited 50's and 60's Rock and Roll and Top 40 Radio shows placed on CD and for sale! With the news, ads and music!